If you offer or are planning to offer instalment payments for your products or services, you know it can be messy to keep track of if you have many instalment accounts. How quickly do you know which payments are due? A good automated system can make the difference between a regular and profitable income versus a loss-making operation. To help you manage instalment payments efficiently, we are pleased to introduce CARAT Instalments, an easy-to-use and compact software system for any business, regardless of the number of customers or products/services they handle. CARAT Instalments allows you track instalments on a daily, weekly, monthly, bi-monthly, semi-annually, annual or ad-hoc basis. Based on the total instalment amount due (inclusive of an optional interest amount), it can generate consecutive monthly instalment amounts based on the number of instalments to pay. Alternatively, you can specify your own instalment frequency and any amount you want. When receipts for instalments come in, CARAT Instalments has a sophisticated receipt management system that can pick up unpaid instalment payments and allow you to auto-apply, individually apply or even enter partial payments. After you have entered your instalment schedules and receipts, what other benefits does CARAT Instalments give you? 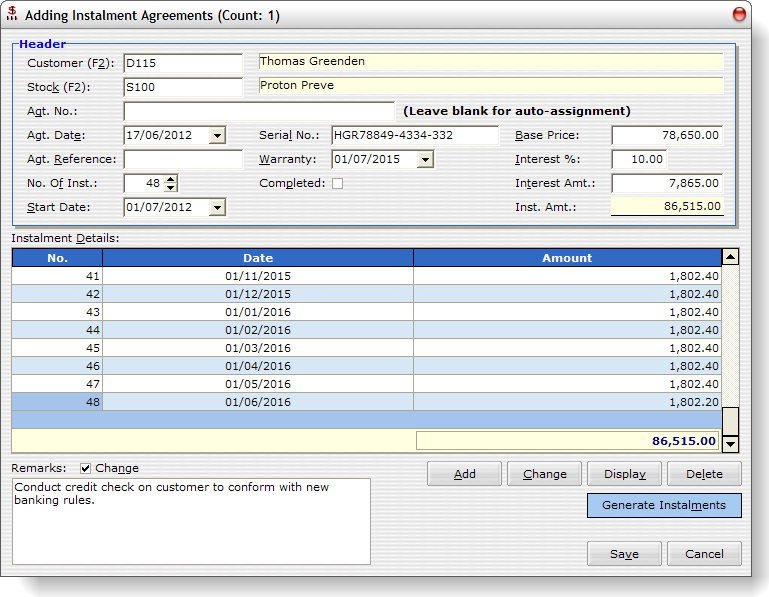 You can print the instalment agreement list which is like a statement of accounts for the customer. 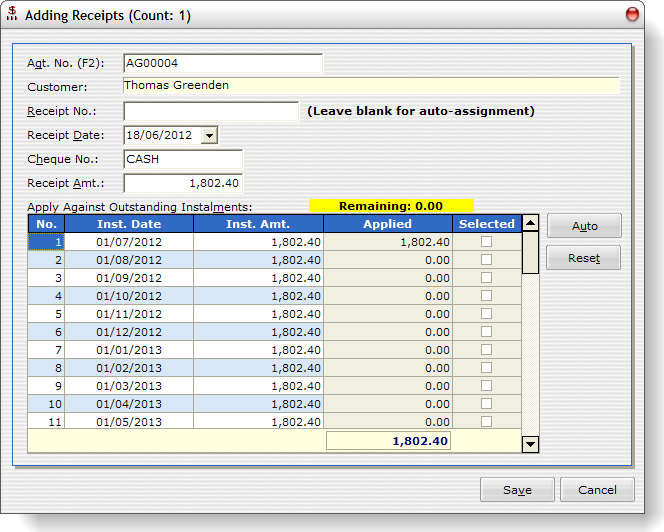 A receipt list, which you can use to reconcile collections for the day against bank-ins is also available. For ensuring that your instalment business is running smoothly and credit controls are in-place, an overdue instalment list tells you which instalments are due but not paid as at a specified date. A trial for CARAT Instalments is available here.